The GreenArt website has evolved and grown rapidly over the last 12 months. Originally targeting new garden design and landscaping clients, the emphasis shifted to online sales of physical products at the beginning of 2017, which meant the website needed to be adapted for eCommerce. We used WooCommerce and a new premium theme to create the new site, whilst keeping the look and feel close to the original website. 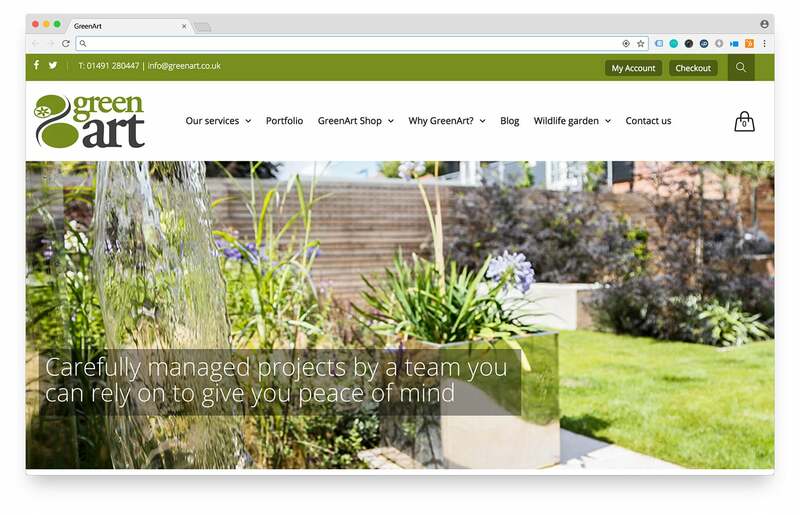 The range of products and content on the site has grown to help engage with more potential customers, and since the site’s launch in May 2017 it has directly secured over £75,000 in sales for GreenArt. Working closely with Barry O’Brien at Fluent Marketing, we pro-actively track, analyse and improve the website every month to make sure it is working as a hard as it can for our client.